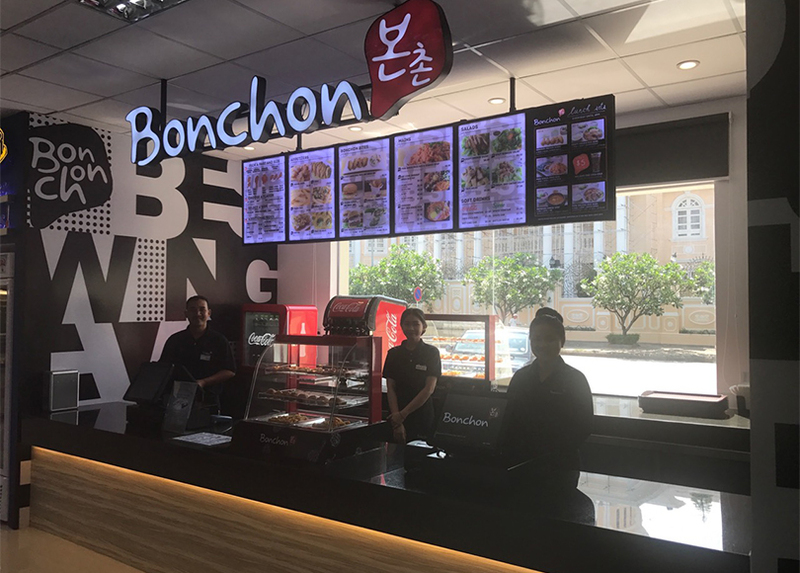 SOHO Diversified Group opens its sixth Bonchon outlet at AEON MaxValu Express supermarket in the Russey Keo district of Phnom Penh. This express-style eatery offers a communal dining area and food warmers of freshly prepared chicken for customers on the go. The new set-up ensures all customers get their Bonchon cravings satisfied in a fast and convenient place.